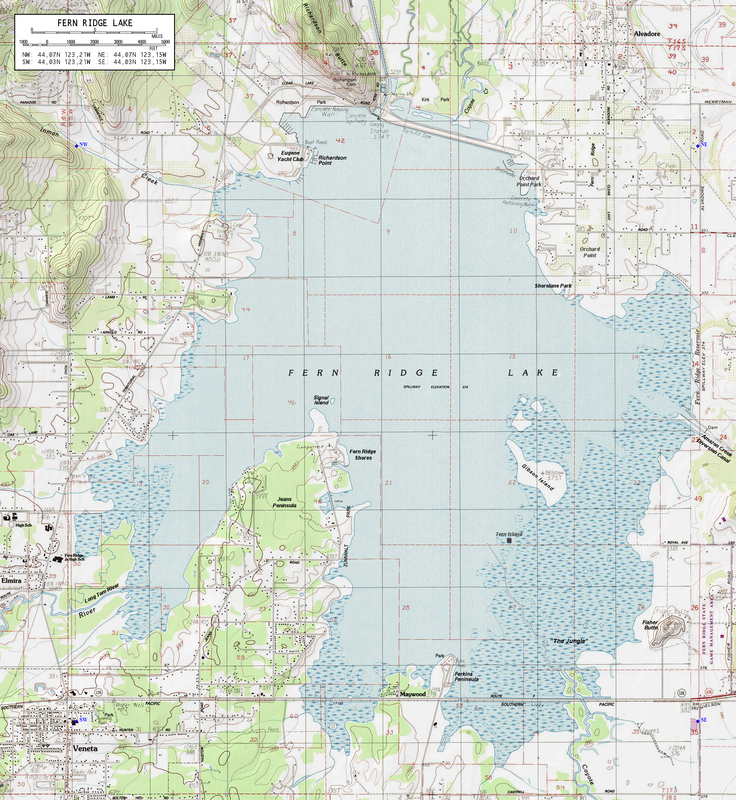 Fern Ridge Reservoir is a large lake located west of Eugene, Oregon. We'll meet about noon at Orchard Point Park on the northeast corner of the lake. There's a decent paved launch ramp with docks. Bring some lunch to eat on the water. There is a $4 daily usage fee at the park, which you can pay at a lockbox in the park or buy online, or you can get a yearly pass for all Lane County parks from Bi-Mart and some other retailers. Yearly permits are half price if you're 62 or older.